TEL AVIV, Israel (CBS) — Fifty years after Adolf Eichmann was sentenced to death by an Israeli court for Nazi war crimes, the country's secret service opens its archive to reveal the story behind his capture. Israel's secret service, Mossad, opened its archives to the public on Tuesday retelling the story behind the capture of Adolf Eichmann, a senior Nazi organizer of the Holocaust, who was captured and hanged 50 years ago in Israel. 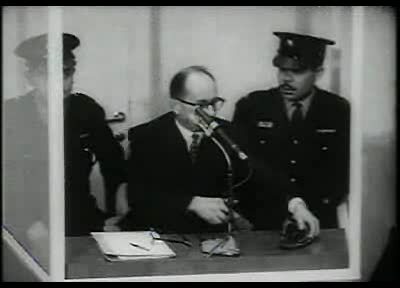 Eichmann had been the world's most wanted man for his part in the murder of 6 million Jews by the Nazis during World War II. He was eventually located and captured by Mossad agents in 1960 in Argentina. He faced trial..